Our Bible Study centered around the story of Jesus upsetting the tables in the temple, but first we considered some words from Jeremiah. In the Psalms, (69:9) David knew that those who opposed him actually opposed God. Isaiah 56:7 Come to the mountain and worship and you shall be accepted. Understand that today - - you are the temple. I Corinthians 3:16 Do you not know that you are God’s temple and that God’s Spirit dwells in you? If anyone destroys God’s temple, God will destroy him. For God’s temple is holy, and you are that temple. With those verses as a foundation we return to John chapter 2. After the miracle of water turned into wine, Jesus came to Capernaum, with his mother, his disciples and remained there many days. The Jewish Passover was soon, so Jesus went down to Jerusalem. The Passover celebration was a time to sacrifice, and many traveled from long distances and planned to purchase a sacrifice once arriving there. All nations came to worship and sacrifice, but the Gentiles were only allowed in the outside outer court. Prices for sacrificial animals were inflated as the High Priest was behind all the overcharging. This was a big money maker and quite a business. Tables were set up inside the temple with animals available for sale. The money exchange was also corrupt, with greed, racism; loss of dignity, stealing, deceitfulness reigning high. They immediately considered the building made of stone, but Jesus was speaking of his body being the temple of the Lord. His disciples remembered this later when Jesus had risen from the dead. 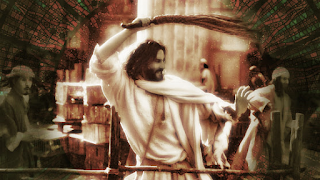 Jesus began to do many miracles and a multitude of people believed on Him and followed him. Jesus did not advertise himself, because he knew the fickleness of men and the issues of their hearts. For us today, we must use wisdom to correct our selves when we are tempted to entertain sin in any of its various forms. You have a right to protect yourself even in the church if there is something wrong going on. Use your spiritual eyes and ears to examine your own heart. Be wise not to take part in wrong even if it is in the church. Do not fear to speak up and perhaps walk out - - if it comes to that. Our teacher shared a hand out about the secret place. Where is the Secret Place? It is a personal place where you meet with God. There is only room for you and our Lord. Where is the most holy place on this earth? It is your own secret place where you can leave every thing behind and enter into His presence. Edited Sermon as I took notes as our guest speaker ministered at our church. He reported that the young people in Egypt are on fire for our Lord Jesus, and God answers their prayers. Sharing the Word of God must be done in the power of the Holy Spirit. You can’t do anything with out the Holy Spirit. Continue to pray for lost souls as we share about Jesus. 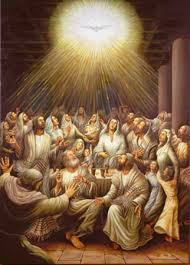 Acts 1:8 tells us that you shall receive Power after the Holy Spirit comes upon you and you shall be witnesses. You are important because you can be a witness for Jesus. There are two very important things prior to becoming a witness. 1. Believe on Jesus and you shall become children of God. You will be a child of God. This is important because receiving Jesus will bring a change in you; bring you new direction, a new kingdom, and a new family of other Christians. Jesus told the disciples to go to Jerusalem and wait for the Holy Spirit. They were not to leave to go home - - No they were to stay in the upper room and wait, until they received. They did not know what to expect, but when the Holy Spirit came with a mighty rushing wind, filling the house and tongues of fire were on each person, they discovered this was a new and mighty experience. They were all filled with Holy Spirit boldness to be witnesses and to do the works of Jesus. 2. It is important for you to receive the Holy Spirit as this is the power. The question is: Have you received Jesus Christ into your life? If you have not accepted Jesus, know that today is the day of Salvation. When you receive Jesus Christ, you become a child of God. God is your new Father. When you pray, God listens. You can come boldly into his presence because you are his child. You are sons and daughters of the Most High God. He is willing to shed upon you the blessed Holy Spirit and to grant you power to witness. He has promised you this power to BE. It is really great to be sons of God, and it is really wonderful to be used of the Holy Spirit. God used not just prophets of old, but God desires to use you to share the Gospel. He will give you the words to say. You will know the words are from him and will cut to the heart of the listener. What is in God’s mind? He reveals His secrets to you and shares with you. We can not afford to be absent of the Holy Spirit. He gives us power and boldness. How can this be? Each of us can experience the Holy Spirit, and He can be in each of us all at the same time, because He is spirit. Many people have received our Lord Jesus Christ, but fail to enter into the fullness of God’s blessing. We need to ask God for the Holy Spirit and He is ready to give to you. Heed his call – come and receive for the promise is for you. Reminder: First become a child of God by accepting Jesus into your life. Next ask and receive the Holy Spirit. There is more God offers as you receive His Holy Spirit. He has gifts available to you as you move in the power of the Holy Spirit. Pastor asked those who desire more to come forward and many came to receive. This Post is from notes taken at our Bible Study Sunday Morning at our Church. The week had been eventful. Jesus had been baptized in the River Jordan by John the Baptist. 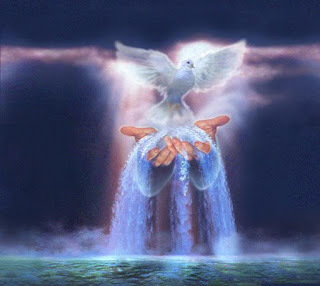 God the Father spoke with a voice and the Holy Spirit descended upon Jesus in the form of a dove. Now Jesus was gathering disciples as men began to follow him. Perhaps it was time to relax as there was a family wedding in Cana to enjoy. Mary the mother of Jesus was very involved in the wedding that was occurring. The wedding feast was to last seven days, and it was incredibly shameful to run out of anything especially the wine. Actually Mary had no reason to think Jesus could fix the problem, but she spoke to the servants and told them to obey what ever He says to do. In her heart she knew Jesus would do something about the situation. Consider Mary as a young girl; hearing the Angel’s announcement that she was to become the mother of the Savior. Mary’s encounter with the Holy Spirit took wisdom and understanding as she submitted to the will of God. She realized there would be public shaming that would follow her, but to obey God would be worth it all. Luke 1:46-72 Mary exalts the Lord singing praises and she was filled with the Holy Spirit as she submitted to the will of God. Mary sang an amazing proclamation of praise, glory and blessing as she visited her Cousin Elizabeth. Family was so important in Jewish culture. Mary embraced the prophetic scriptures as she carried the Son of God in her womb. Mary pondered in her heart about Jesus as he was growing up, and at age twelve, he was found in the temple expounding truth to those listening to him. Mary was not ignorant of the calling of God upon her son Jesus’ life, and she realized Jesus walked in authority even as a child. His time had come and that was now evident. As John began his Gospel, he declared that Glory was revealed as the Holy Spirit hovered over the water in creation. The Holy Spirit hovered over the water at this wedding as the water turned into wine. For us, the Holy Spirit offers Spiritual Wine from heaven to cause our hearts to rejoice. We need to spend time with the Holy Spirit as we become different enough to change our world. Spirit to spirit changes us; Steam rolling as it were. Mary trusted Jesus and knew he would do something to solve the problem. Jesus honored his mother and commanded the servants at the wedding to fill the large jars with water. Each jar held from 25 to 30 gallons of water. Then He instructed the servants to carry the “water” to the master of the feast for testing. 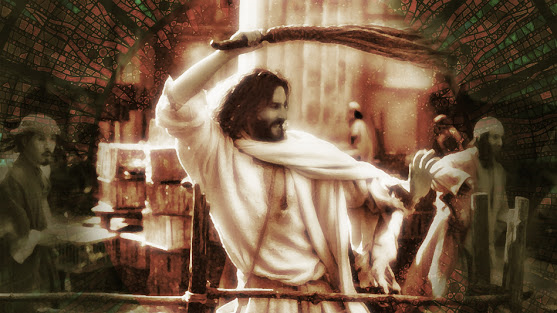 Now the servants knew all that had happened, but they obeyed Jesus trusting him. This was a God Moment as they encountered the Christ and followed his command. The master of the feast could not believe the best wine had been saved to the last of the feast. This was no ordinary wine, but was wine from heaven; the magnificence of the miracle of water to wine. We glance at "water" throughout the Bible. In Egypt water turned to blood. Moses brought water from a rock and another time, cured water with tree limbs. 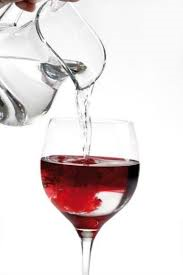 Water was used in washing ceremonies, and the water turned to wine reminds us of the Holy Spirit in our lives. Jesus honored his mother and fulfilled her request. Mary was submitted to His authority and to His Majesty. Mary trusted Jesus. This post is from notes taken during Pastor Allan’s Sermon on Sunday Morning. Are you willing to wait and be patient in your waiting? We get so caught up in serving that we forget who we are serving. As we wait, God lifts us up sets our feet on a rock and puts a new song in our heart. Psalms 40:2,3 He brought me up also out of a horrible pit, out of the miry clay, and set my feet upon a rock, and established my steps. And he has put a new song in my mouth, even praise unto our God: many shall see it, and fear, and shall trust in the LORD. Understand that God is working behind the scenes and he is listening to your prayers. In the mean time He is preparing you for His perfect plan. So I wait. So I wait patiently, not trying to help God out as some have done. If we are not careful, we can mess things up that God desires to do. We long for the fire of God to come down on our mountain of trouble. We yearn to view the supernatural army come to defeat those obstacles in our path. 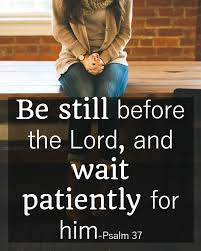 God asks us to wait with wisdom and patience that He gives. Psalms 40:4 How blessed is the one who trusts in the LORD and does not seek help from the proud or from liars! Happy is the person who seeks truth and does not run after liars, but will Trust in the Lord. Waiting takes trust that God is hearing your cry and is directing traffic. 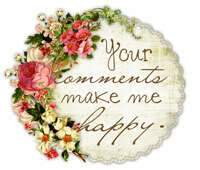 Our Lord has done great things, and His thoughts toward us are for our good. If we try to count His benefits, they are too many to number. While we wait, He feeds us and cares for us as we trust in Him. All the disciples of Jesus were willing to be taught. We can be taught as we wait patiently. Many of us are waiting for the restoration of our children or loved ones. Besides waiting what else must we do? The simple answer is to Trust and Obey. We plant a seed in good soil, but it must be cared for. We water it and tenderly remove weeds, and wait patiently for it to mature and bring a harvest. It may turn out that your answer is on its way. It may arrive tomorrow. Wait patiently, and trust that it will surely come. It is time to ignore the distractions of life that pull our eyes off God. Our eyes often are focused on the tempest instead of He who controls the storm. We have seen a lot of changes this year. Some have been alienated by pressure or feelings of loneliness. There have been seasons of ministry and then changes. The outreach to the homeless upset some of our neighbors, because we embrace all people as we offer them the love of God. There is a new shift in the seasons. How do we measure success? This is what Jesus had to say. As a pastor, I need to know more about each of you. Our relationship with each other and with God is of importance. Understand what the will of God is and I encourage you to build your relationship with God and with each other, and also with those you associate with during the week. 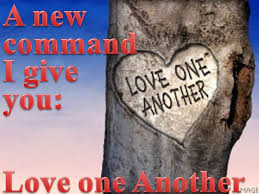 The second commandment is to love others as much as we love ourselves. We are to be kind and caring toward all. We need wisdom to make right choices and to keep our eyes on Jesus. The test of Fire will remove impurities in our soul, and after the fire comes the cool breeze of the sweet presence of the Holy Spirit. We are accountable to God as we trust him. When adversity comes, it is not time to throw up our hands in defeat, but it is time to unite as one. Let us show our love.